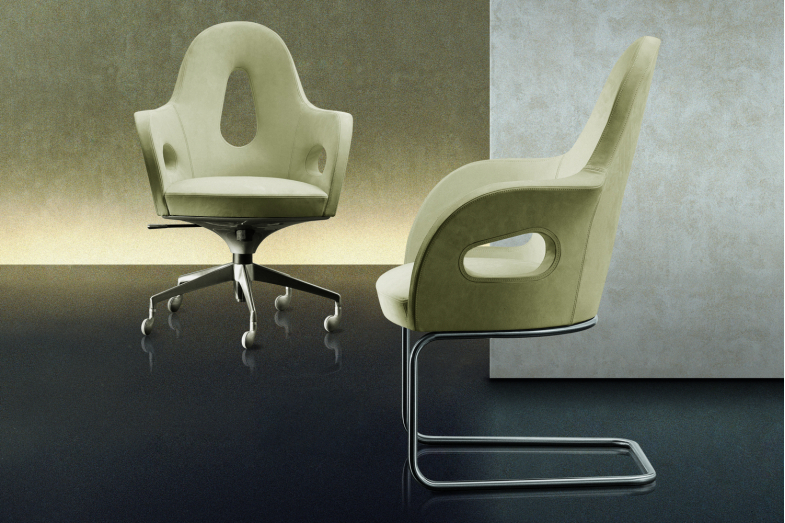 The Teodora armchair is available in fixed or swivel versions, designed to be highly versatile with adjustable height and tilt. The back frame is in structurally rigid polyurethane and in flexible cold-foamed polyurethane. The seat is in multi-layer with padding in multi-density polyurethane. The non-removable upholstery is available only in leather. In the fixed version, the base is in glazed flexible stainless steel; in the swivel version, the base is in dye cast aluminium with satin-finished nickel. 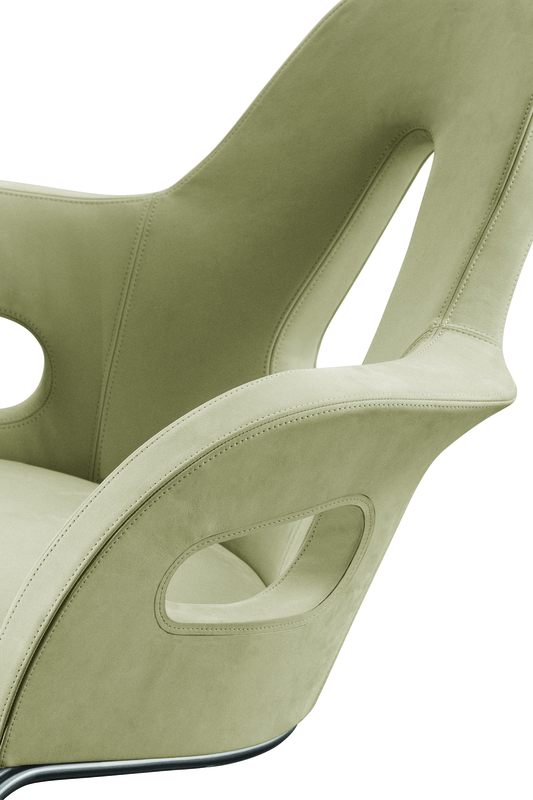 The connection between the base and the seat is in varnished, structurally rigid polyurethane with openings for the lever used to adjust the height. Swivel castors varnished grey colour with grey rubber details.